How do more tenured nurses feel about value based care? It’s a question that challenges any person in a staffing and management position. The ideas of value based purchasing, raising HCAHPS scores, and patient satisfaction aren’t new for staff members in a hospital setting. For the nursing staff on the front lines, however; the concept is more complex. New nurses who join the team are adapting to many new concepts and processes, and these tactics and requirements for value based care are usually accepted as part of the job. The more tenured staff member, though, might be less adaptive. Veteran nurses tend to be skeptical and strive to find a reason for the change beyond just appeasing administration. They want to ensure positive outcomes, so they know they are not just wasting their time on a new process. Put simply, they need to know it is good for their patients. So, what can the administration do to get this important sector of the nursing staff on board with value-based care? All three of these tactics work to improve patient safety, enhance communication and reduce errors. At the same time, they lower anxiety levels and improve patient and family satisfaction. Whether new or tenured, nursing staff members should have no problems using these tactics to bolster quality patient care and the patient experience. A relatively newer approach worth considering is the use of communication boards. These boards are not new, but they have a tendency to be underutilized. They can easily be ignored unless nursing management and administration are intentional about ensuring their correct use. If you are sensing push-back or apathy from staff members on utilizing communication boards, the best approach is education. Training should be reviewed on why they are used, but more importantly, it must be explained how it can change a patient’s outcome. Put simply, it reduces stress levels for both the patient and family members while improving communication between nursing staff going in and out of the room. Communication boards list everything from the patient’s room, to their schedule, to their medications, to names of their care team. Reiterate to your staff members that consistently using the communication boards will not only improve care team communication, but it will set expectations and calm anxieties for their patients. Just the mention of this topic is likely to get eyes rolling, especially among more tenured nurses. Courtesy and respect are concepts often confused with the idea of “being nice”, but there is a big difference. You give them back some of their power by making them part of the team. 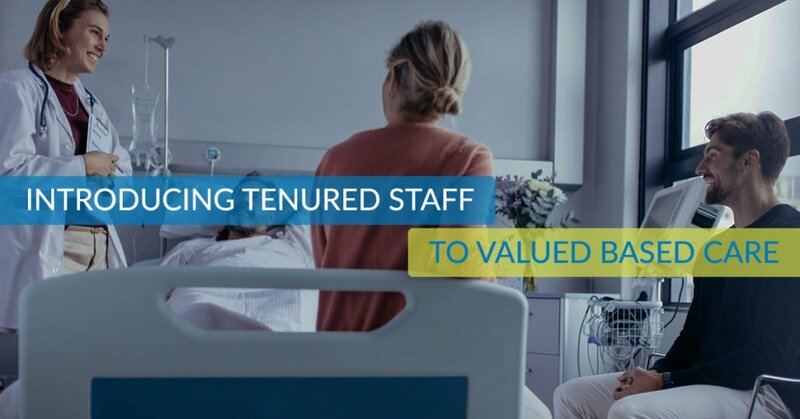 To some staff members, value based care can feel like extra work or something that is just meant to check a box for administration—and from this perspective, it’s an understandable attitude. It is up to administrators and nursing managers to demonstrate to staff members how these initiatives will not only improve the patient experience but how these same tactics can improve overall care and patient outcomes.